The 2018 football World Cup in Russia was a roaring success for the UK. Although Gareth Southgate’s men fell short of the final, the run captured the hearts, minds and purse strings of the nation. Even before the tournament started, mainstream news sites were suggesting that a positive result could offset any fears over Brexit. Eventually, as fans of all persuasions dared to dream, estimates from economic experts put the value of the latest World Cup at billions. According to Professor Joshua Bamfield of the Centre for Retail Research (CRR), the amount spent as a result of the World Cup was more than £1 billion. In his estimation, every goal England scored was worth £165.3 million to retailers and £33.2 million to pubs. In line with these results, the UK betting industry saw a surge in activity. Although football wasn’t the only catalyst for a betting boom, it was the main contributor to multiple weekends of action. Indeed, as England beat Colombia on July 3, Ladbrokes’ head of PR was quick to predict a rush thanks to a weekend of sport featuring the World Cup, the British Grand Prix and Wimbledon. “The weekend’s sport could spark a £200 million betting spree across the industry. With so much happening, we could see record turnover,” Nicola McGeady said in a July 5 press release. Off the back of this weekend windfall, the Guardian reported that upwards of £2.5 billion was staked on the 2018 World Cup. 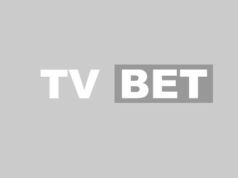 Correlating the number of betting ads shown with the amount wagered, the article showed that ITV alone aired 90 minutes’ worth of betting content during the tournament. From this, the total amount bet on the World Cup was more than double what it was in 2014. Reaping the biggest benefits of this upturn in activity was Sky Bet. As it often does in light of major events, the Sky Bet free bet offer page was littered with deals that resonated with punters. According to statistics published by YouGov, 30% of World Cup bettors used Sky Bet. For its new parent company, The Stars Group, the findings will certainly be taken as a positive. However, even with a 30% share of the market, Sky Bet wasn’t the only big winner during the World Cup. After surveying 2,061 people, YouGov’s researchers found that 24% used Paddy Power, 22% went for bet365 and Betfair captured 18% of the market. Also enjoying the rush was Ladbrokes Coral owner, GVC Holdings. Assessing its own performance, the betting brand noted an 18% uptick in net gaming revenue thanks to the World Cup. “The World Cup tournament as a whole has been a good one for the group, helped by a better than expected gross win margin but also importantly volumes and value of new customer deposits,” read a July 18 press release. What’s interesting from the latest figures is that new sign-ups were up. Sifting through the data, YouGov found that six million UK adults bet on the tournament, with one million of those being new customers. Again, Sky Bet emerged as the leading operator in this area. 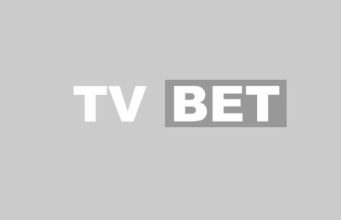 Thanks to innovations such as live streaming, welcome bonuses and free bet offers, Sky Bet was able to welcome 25% of all new sign-ups. The summer frenzy will be seen as a perfect remedy to the impending fixed odds betting terminals (FOBTs) changes for other operators. With the maximum bet set to fall from £100 per round to £2, those in the retail sector will be looking for new ways to generate revenue. However, for Sky Bet, the recent win won’t be used to offset any live losses. Being an online operator without any interests on the high street, FOBT regulation won’t affect Sky Bet in the same way it will other operators. In this context, the company’s World Cup results are even more impressive. Although the company is still in the shadow of Ladbrokes Coral and William Hill in terms of overall size, it’s fortunes are certainly on the up. Indeed, between its World Cup success and recent alignment with The Stars Group, the sky looks to be the limit for this online operator. Previous articleVirtual Sport Betting: What the Heck is it?